Finding A Smile Is Not Hard At Inspired Chiropractic. 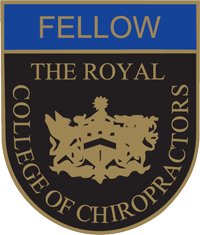 Dr Jonathan Wilson (Doctor of Chiropractic & Fellow of the Royal College of Chiropractors), a Chiropractor in Norwich, has degrees from both the University of New South Wales (Sydney) and Macquarie University (Sydney). Having completed his anatomy degree and post graduate masters programme Dr Wilson (Doctor of Chiropractic) practiced in Sydney for two years before moving to the United Kingdom. As a chiropractor in Norwich, Dr Wilson (Doctor of Chiropractic) believes in the importance of ongoing education, having passing the certification for a number of different techniques (see ‘Our Techniques’) as well as the Wellness Certification Programme from the International Chiropractic Association. He has completed academic study in evidence based care and was awarded a Fellowship from the Royal College of Chiropractors as a result of this work. He has a special interest in measuring the effectiveness of chiropractic care and has worked to combine proven approaches with time honoured chiropractic techniques to provide a greater chance of success for the individual. 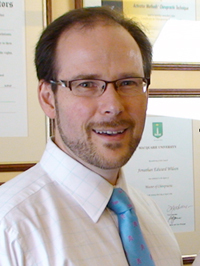 Having practised as a chiropractor in Norwich for many years Dr Wilson (Doctor of Chiropractic) has gained experience with difficult and unusual cases. He has a genuine interest in people and finds it rewarding to help clients achieve results that have been elusive for other practitioners. At our Norwich chiropractic clinic, Inspired Chiropractic, we love to develop relationships in the community where clients feel very comfortable referring friends and family when looking for a chiropractor in Norwich. We strive for a personal touch when providing care, recognising the needs of the individual and treating them like a member of our family. Finding a smile is not hard at Inspired Chiropractic. Dr Wilson (Doctor of Chiropractic) endeavours to seek out new technologies and techniques that provide greater solutions for clients. Regular progress examinations ensure that care is kept on track and a careful focus is made to reduce symptoms, measure the long term body changes – so that we know that progress is being made – and to encourage that body to heal in as many ways as possible. 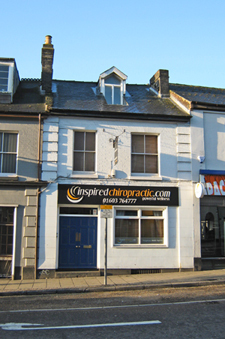 When Dr Wilson (Doctor of Chiropractic) began ‘Inspired Chiropractic’ he wanted to be the chiropractor in Norwich who had the centre for inspired thinking and a fresh approach to chiropractic care. Our aim is to provide inspiration, education and client involvement. The science of Wellness Care is a well kept secret, but more and more clients in Norwich are looking for real health care, based in science that can deliver results without the use of drugs and their side-effects. The science of wellness focuses not on disease but on the amazing natural processes that the body undertakes thousands of times every day. Having seen the natural healing power of the body myself, I became keen to discover more and to make what I have learnt available to those who consult Inspired Chiropractic for chiropractic care. At first clients would consult us for headaches, migraines, arm, leg and back pain. I began to measure the individual results in terms of spinal movement and nerve function. The results were marked with significant reductions in pain, improved mobility and a return to an active lifestyle. We also asked clients to report the ways in which they had benefited. We were surprised to see that most clients reported other health benefits. Over a period of time clients reported improved function of the immune system, healing rates, digestion, sleep patterns and moods. Wellness care focuses on how the body heals rather than a presenting disease or collection of symptoms. Often those things that draw clients to us change rapidly but assessment of the body as a whole and a search for better function is where the real value lies.